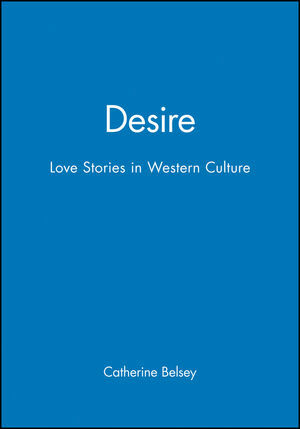 In the light of poststructuralist theory, and with reference to the work of Lacan and Derrida in particular, Catherine Belsey argues that fiction - including poetry, drama and film - is paradoxically the most serious location of writing about desire in Western cultura. Beginning with the celebration of true love in contemporary popular romance, and the reluctant scepticism of postmodern novels, she goes on to explore past representation of passion by Chretien de Troyes, Malory, Spenser, Donne, Keats, Edgar Allan Poe, Tennyson and Bram Stoker. Belsey also discusses the role of desire in the utopian writings of Plato, More and William Morris, as well as its treatment by a range of speculative feminists, from Charlotte perkins Gilman to Marge Piercy. Catherine Belsey is Professor of English and Chair of the Centre for Critical and Cultural Theory at the University of Wales College of Cardiff. She is the author of Critical Practice (1980), The Subject of Tragedy (1985) and John Milton (1988). 1. Prologue: Writing About Desire. 3. Desire in Theory: Freud, Lacan, Derrida. Part II: Desire at Other Times:. 5. Adultery in King Arthur's Court. 6. John Donne's Worlds of Desire. 8. Futures: Desire and Utopia. * Accessible and fascinating for the student and general reader alike. * Covers the whole spectrum of romance from Mills and Boon and Bram Stoker to Keats, John Donne and Plato.